Sunshine Coast bridal makeup artist, specialising in flawless and fresh bridal makeup with that extra attention to detail. 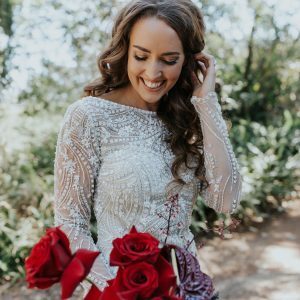 Kate Ellen Makeup Artistry caters to Brides that are after “Premium Bridal Makeup” Offering the highest quality makeup products to give you a flawless, lasting look on your wedding day! Kate is a Mobile Makeup Artist based on the Sunshine Coast and can travel outside of the Sunshine Coast on request for a Fee. Kate has trained with Kim Kardashian’s Makeup Artist, Mario Dedivanovic and some of the best Makeup Artists in Australia. You will experience the highest quality makeup application from a true professional who will spend the extra time to create your dream bridal look. We commit to you and your wedding day one hundred percent! We take bookings very seriously and never half-heartedly! We are always punctual on your big day. We like to arrive early to set up and get ready to start your makeup on time. There has never been a time that we have not been able to do! When we say that we will be there on your day, we will be there! Your wedding is extremely important to us! We always allow plenty of time so your makeup application is done with care and precision. Kate will always come to you with a positive and can-do attitude! Every bride needs happy people surrounding them on their special day! We understand that a wedding can be quite stressful and emotional. 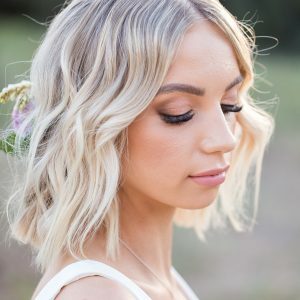 Kate is there to make you feel beautiful on your magical day! 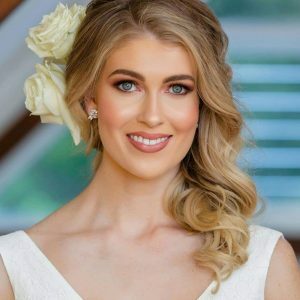 Kate Ellen Makeup Artistry has featured in a number of industry leading Magazines and Wedding Blogs in Queensland, including The Bride’s Tree, Lovers Like Us, To The Aisle Australia and Vintage Bride.